1. Using a large-scale impact crusher. 2. Improve the filling rate of materials in the kiln. In order to increase the output of counter attack, the filling rate of materials must be improved. The filling rate of foreign counter attack materials is more than 10%, and that of China can be increased from the current 3.42-5% to 6%. With the increase of the filling rate, the thickening of the material layer in the kiln will hinder the heat transfer of combustion gas and materials. Therefore, the length of the kiln must be lengthened, the inclination Angle of the kiln reduced, and the rotation speed of the kiln reduced, so as to prolong the residence time of materials in the kiln. Otherwise, the combustion quality will be affected. The staying time of the materials in the kiln should be no less than that of 1h (currently, the staying time of counter broken materials in China is 30-45min). Counterattack break Angle should be reduced to 2 degrees on the basis of 2.5 degrees. The speed of counter break can choose stepless speed regulation, control in 0.75-2.5r /min, so as to increase the feed of counter break, improve the production capacity of counter break. 3. Strengthen the kiln head seal to prevent air from leaking into the kiln and reduce the charcoal burning of the material. 4. Increase the length of the calcination zone, reduce the amount of primary air, increase the secondary air injection device of the secondary machine, and arrange them into injection pipes. 5. Try to use the volatile matter of the material as fuel, and gradually use less or no external combustion operation. The four key points to ensure the quality of the calcination are to ensure that the four process parameters, namely fuel, air, negative pressure and feed amount, are adjusted when counter-breaking the calcination quality, and the constant temperature operation is maintained as much as possible. 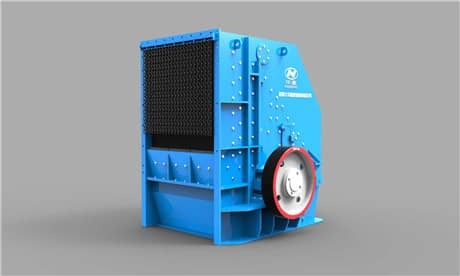 The operator focuses on stabilizing the temperature of the calcining zone and the temperature of the exhaust gas during the calcining operation. Specializing in the production of counter-attack equipment: The main products are: lime counter-attack, ceramsite counter-attack, ceramsite sand/sand counter-break, calcium aluminate powder counter-attack, laterite nickel mine counter-break, metal magnesium counter-break, zinc oxide counter-break, Aluminum bauxite counterattack, petroleum proppant counterattack, carbon counterattack, disc granulator, wind sweep coal mill, ball mill, preheater, burner, cooler, etc. Previous Article：What is the Output of the Sand Making Machine Related to?